The number of third-party applications designed to run on smart wearable devices is expected to grow from 2,500 at the end of 2014 to 349,000 in 2019, according to a new forecast from IDC. While the majority of these applications will be consumer focused, IDC believes a significant opportunity exists for enterprise-oriented applications. Developers capable of delivering clear benefits and a transformative experience will catalyse demand and further accelerate application development on the supply side. With the Apple Watch expected to capture up to two thirds of the smart wearable device market in 2015, Apple's influence on the wearable applications market will be considerable. 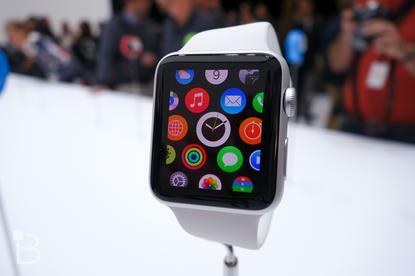 “It has been clear since well before it was launched that the Apple Watch, with the WatchKit SDK, is poised to set a tone for the broader market,” says John Jackson, research vice president, Mobile and Connected Platforms, IDC. The market for wearable applications targeting specific enterprise use cases is forecast to develop modestly in absolute numerical terms, representing 10 percent of the total number of applications in 2015 and growing to 17 percent in the final years of the forecast period. However, absolute numbers are only part of the story. “Applications designed for wearable devices deployed to address specific enterprise workflows are the highest value targets for developers in the wearable technology space in the near term," Jackson notes. A majority of the wearable applications developed will depend on connections to "host" devices, such as a smartphone or, more accurately, app code on a smartphone. However, "standalone" applications, which do not depend on another device, will also have a meaningful presence throughout the forecast.